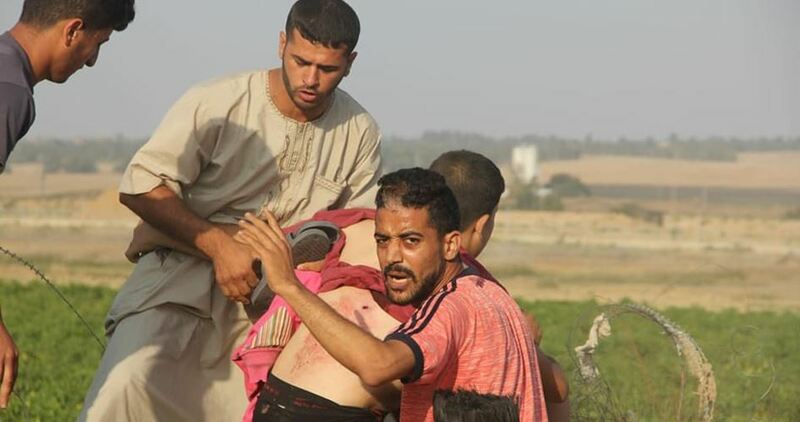 A Palestinian child was injured when a tear gas canister fired by an Israeli soldier hit him as he was rallying with others in a border area east of the besieged Gaza Strip. According to Palestinian media reports, the Israeli occupation forces showered a group of protesters with tear gas grenades during their presence in Talat Umm Husseina east of al-Bureij refugee camp in central Gaza. The protesters torched tires in the area and threw stones at Israeli soldiers stationed behind the border fence. Citizens in Gaza stage rallies on the border every Friday and sometimes during other days to protest the inhumane blockade imposed on the improvised coastal enclave. The Palestinian government in Gaza announced yesterday that it would pay $100 to 94,000 poor families in the Gaza Strip, noting that this is part of the Qatari funds given to the besieged enclave. It is still unclear how and when this issue was agreed, but the government in Gaza called for the poor families registered in its records to head to the government banks to receive the payments, starting from Saturday morning. The government published directions on its website explaining to the families how to look for their names and find out whether they were enlisted for the payment or not before heading to the banks. From the early morning today, thousands of Palestinians stood in queues at the doors of the government banks, which started paying them the money. Safa news agency in Gaza confirmed that the government banks started paying the money and published pictures for the Qatari Committee’s staff monitoring the payments inside the government banks. Palestinian factions in Gaza, including Hamas, which on Thursday refused to receive the Qatari funds under “humiliating” Israeli conditions, are keeping silent regarding the payment. A group of armed illegal Israeli colonialist settlers injured, on Friday evening, a Palestinian man and his child, east of Hebron city, in the southern part of the occupied West Bank. Media sources in Hebron said the illegal colonists came from Keryat Arba’ colony, which was built on Palestinian lands, east of Hebron. They added that the colonists attacked many homes in Wad al-Hasseen area, and hurled stones at them, wounding Hisham Jamil Abu Es’eifan, 48, and hic child, Mohammad, 10. Local medics rushed to the home of the wounded father and his child and provided them with the needed treatment without the need to move them to a hospital. 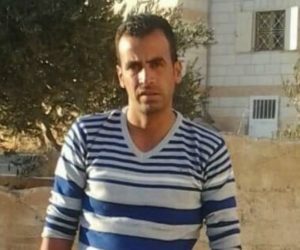 In related news, the soldiers abducted a former political prisoner, identified as Mohammad Ahmad Bani Odah, from Tammoun town south of Tubas, in northwestern West Bank, after stopping him at Za’tara military roadblock, south of the northern West Bank city of Nablus, while he was heading back home. Israeli soldiers killed, Saturday, one Palestinian and injured at least 30 others, after a group of illegal colonialist settlers attempted to invade the northern part of the al-Mughayyir village, east of the central West Bank city of Ramallah, and were intercepted by the villagers. 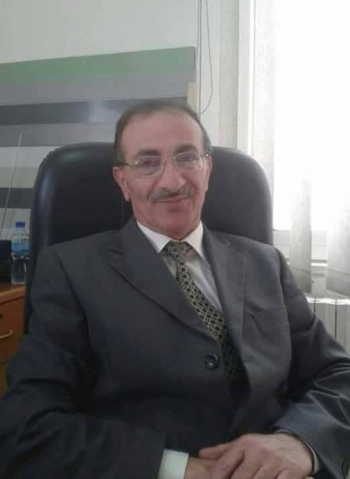 The Palestinian Health Ministry said the Palestinian, identified as Hamdi Taleb Sa’ada Na’san, 38, was shot with a live round in his back, and the bullet was logged in the upper abdomen. The Palestinian was rushed to Palestine Medical Complex, in Ramallah, but died from his very serious wounds. The soldiers also injured at least thirty other Palestinians, among them six who were shot with live fire, including one who suffered a very serious injury. One of the wounded Palestinians was shot with a live round in his mouth, before he was rushed to the Istishari hospital, in Ramallah, in a moderate-but-stable condition. After the colonists attempted to invade the village, dozens of Palestinians, from the nearby Abu Falah village, rushed to aid the residents of al-Mughayyir, and were also attacked by the soldiers and the colonialist settlers, who fired a barrage of live rounds at them, preventing them from entering the village. It is worth mentioning that Abu Na’san is a former political prisoner who was imprisoned by Israel for eight years. 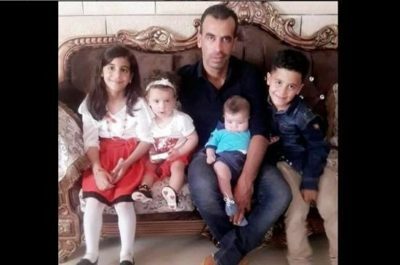 The slain Palestinian man is a married father of four children, the youngest of which was born less than a year ago. On Saturday at dawn, Israeli police officers shot and killed a Palestinian man, after the officers opened fire at his car in Bab al-‘Amoud (Damascus Gate) area, in occupied Jerusalem. The slain Palestinian has been identified as Riyad Mohammad Hammad Shamasneh, 37, from Qotna town, northwest of occupied East Jerusalem. In a statement, Palestinian President Mahmoud Abbas denounced the seriously escalating violations, carried out by Israeli soldiers and the illegal colonialist settlers, against the unarmed Palestinian civilians, their homes and lands. 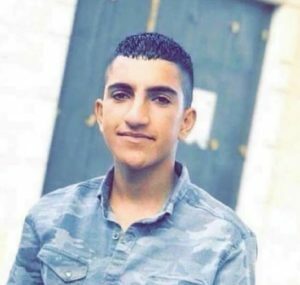 On Friday evening, the soldiers killed a Palestinian teen, identified as Ayman Ahmad Othman Hamed, 17, from Silwad town, east of the central West Bank city of Ramallah, and wounded another Palestinian, in addition to moderately injuring a young man in ar-Reesan Mountain area, west of Ramallah. The body of 60 year old Palestinian, Hamdan Tawfiq Arda, who was shot and killed by Israeli soldiers in al-Biereh city, in December, was released Friday. 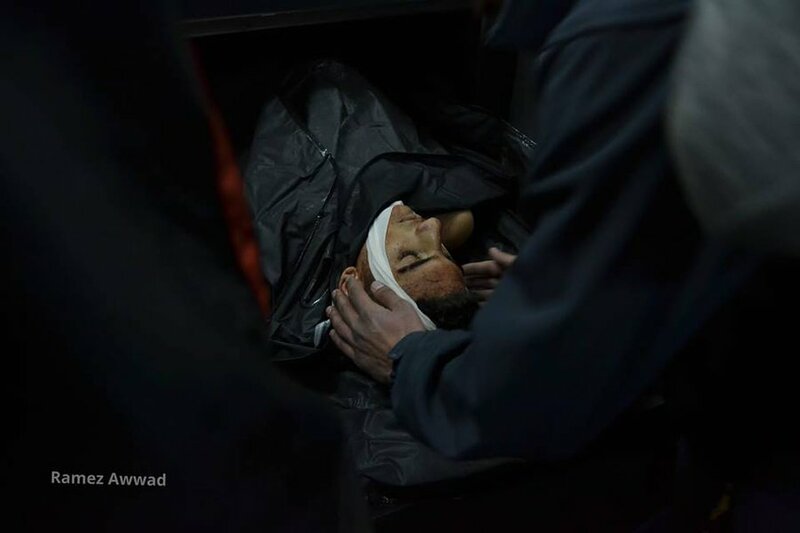 Israeli authorities withheld the body of the slain civilian for 40 days, without a reason, reported WAFA. After 40 days, the Israeli military released the body to the family, at Salem military checkpoint, northeast of Jenin in the northern West Bank. 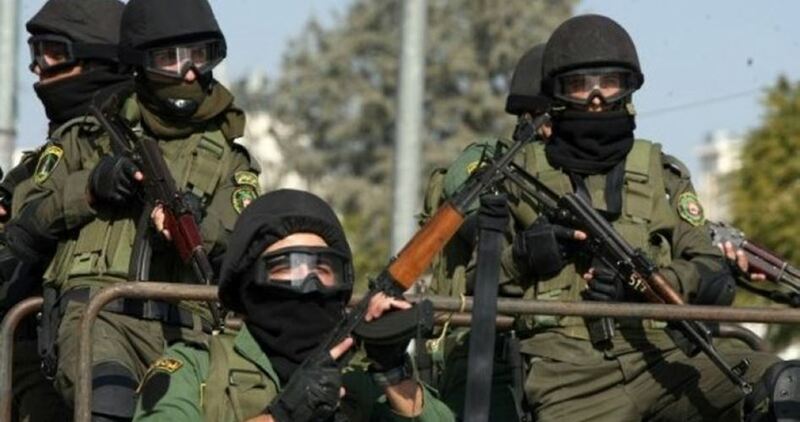 Following a raid in the central West Bank, Ramallah and al-Biereh Governorate, al-Arda, in his vehicle, was stopped by Israeli military forces. The Palestinian elder attempted to turn his vehicle around, which the Israeli soldiers viewed as an attempt at “ramming” the soldiers. 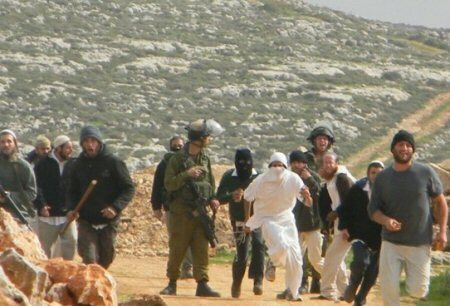 The Israeli military opened fire at the man, hitting him in the head, with live ammunition. Eyewitnesses said it was an “accident, with the driver surprised with Israeli soldiers in his way and attempted to turn away from them before they heavily opened fire at him.” The eyewitness accounts conflicted with the soldiers’ claims of intent to harm, forcing the army to change their statement. The raid on al- Biereh, was an apparent attempt to locate the Palestinians responsible for the shooting death of 2 Israeli colonialist settlers on December 12. The settlers were killed close to the illegal Israeli Ofra settlement, built on Palestinian land, in the Ramallah and al-Biereh Governorate. Approximately 85% of the Palestinians of the West Bank are Muslim, so it is important to note, that Islamic religious law calls for burial of the body as soon as possible. HEBRON, PaLESTINOW.COM — A Palestinian child was critically injured on Friday afternoon after he was run over by an Israeli military jeep near Yatta town in al-Khalil. The Palestinian reporter said that Saber al-Jabarin, 12, was kidnapped by the Israeli force riding the jeep that hit him. Al-Jabarin was transferred to an Israeli hospital in the Palestinian territories occupied since 1948, he added. OCCUPIED JERUSALEM, PALESTINOW.COM — Israeli police officers shot and killed, on Saturday at dawn, a young Palestinian man, after the officers opened fire at his car in Bab al-‘Amoud (Damascus Gate) area, in occupied Jerusalem. The slain Palestinian has been identified as Riyad Mohammad Hammad Shamasneh, from Qotna town, northwest of occupied East Jerusalem. The Palestinians in the car were heading to their work in occupied Jerusalem, when the officers opened fire at their car. Although Qotna is in the Jerusalem Governorate, Israeli surrounded and isolated the Palestinian town by the Annexation Wall, and its inhabitants have been denied access to occupied Jerusalem since 2004. One teenager has been killed and another wounded after Israel’s occupation forces opened fire at them in the occupied West Bank. The fatal incident took place outside the village of Silwad, northeast of the city of Ramallah, on the afternoon of Friday January 25th. The teenagers were shot by occupation soldiers positioned up in a concrete watchtower near a street used by illegal Israeli settlers from a nearby colony. The other, unnamed teen was hit in hand while Ayman Ahmad Osman Hamed was shot in chest and either died immediately in scene or was later announced dead in a hospital in Ramallah according to conflicting reports. We assume the former claim to be the correct one – a video showing an ambulance allegedly bringing his body to hospital strongly supports this. An unconfirmed claim is that his body would have later been taken by the Israeli occupation forces from the hospital morgue. Ayman Hamed’s age is given as 16, 17 and 18 in different sources, with most giving it as 16 but as the age 18 appears in the latest sources, we at this point assume it to be the most likely correct one. Israel’s occupation forces have so far given no excuse or reason why the teenagers were shot at.